The pretty coastal resort town of Cascais is one of the easiest day trips from Lisbon and worth the 40-minute train ride from Cais do Sodré station. Once you step off the train, you’re pretty much in the centre of Cascais old town, filled with patterned pavements, boutiques, cafés and a mixture of architectural styles dating back centuries. 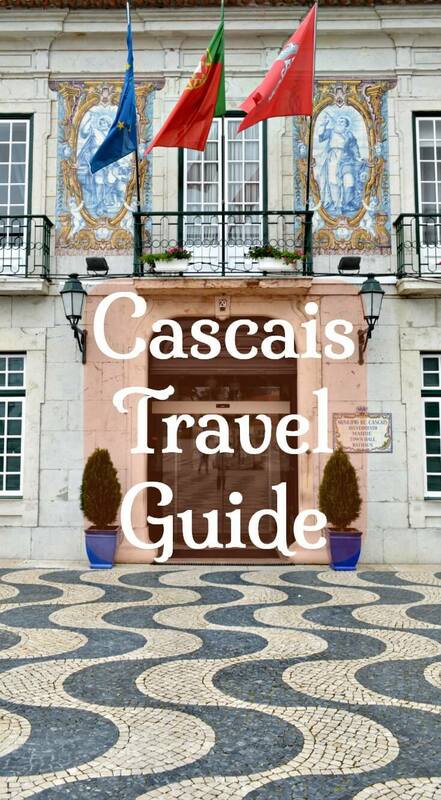 Find out what to do in Cascais, including museums, parks, arts and crafts, places to stay, best Cascais beaches and natural wonders as well as how to get to Cascais from Lisbon. Cascais’ popularity as a summer resort town came about in the late 19th century when King Luís I made the citadel his summer residence. Wealthy Portuguese quickly flocked to build their own little palaces and mansions and in turn, road and rail connections between Cascais and Lisbon improved, as did the facilities within the town centre. During the Second World War, Cascais became a particularly pleasant safe haven for exiled European nobles and other wealthy families. It still attracts the moneyed crowd but has plenty to offer for all types of traveller and budget. As well as an attractive cluster of streets and squares, museums, galleries, parks, gardens and markets, there are a range of beaches that appeal to different groups of people, from surfers to families. Since there are so many things to do in Cascais, it’s understandably still a popular weekend destination for Lisboetas and attracts international visitors all year round. 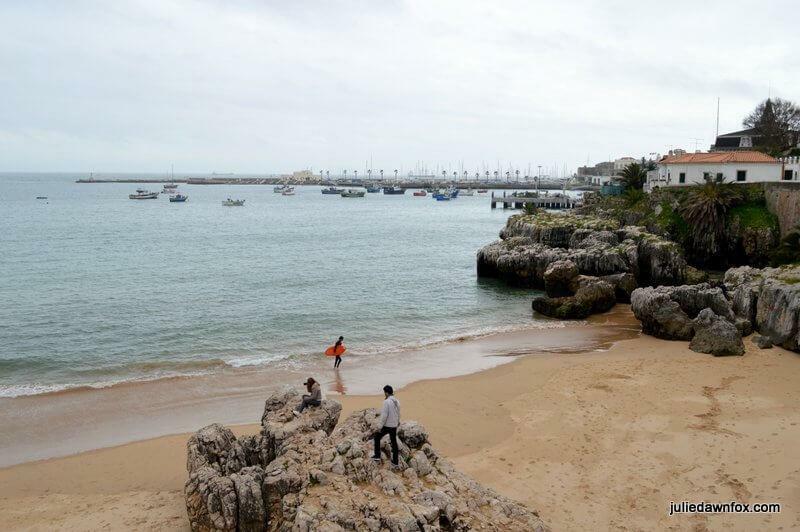 Read on to learn why you should visit Cascais. If you know you want to spend a few days enjoying its charms, you can skip ahead to Where to stay in Cascais. Without doubt, my favourite Cascais museum is Museu Condes de Castro Guimarães. It’s actually a beautifully grand summer house with turrets and cloisters set in the equally pretty Marechal Carmona park (see below). Built in 1900, following a design by Luigi Magnini, the imaginative man responsible for the Neo-Manueline Buçaco Palace and the whimsical Quinta da Regaleira in Sintra, it’s full of intricate architectural and decorative features and has an enviable private cove and sea views. The period furnishings and decor allow you to imagine living in such a palace in the early 20th century. It also contains some important artworks. Open 10-1 and 2-5 Tues-Sun. By contrast, Casa de Santa Maria, which is across the road from this gem, feels rather dull, although it has got some lovely tiles. There is a lighthouse beyond the house but it was closed when we tried to visit. Mike has long admired Portuguese artist Paula Rego’s work so a visit to Casa das Historias was a must see on our Cascais itinerary. 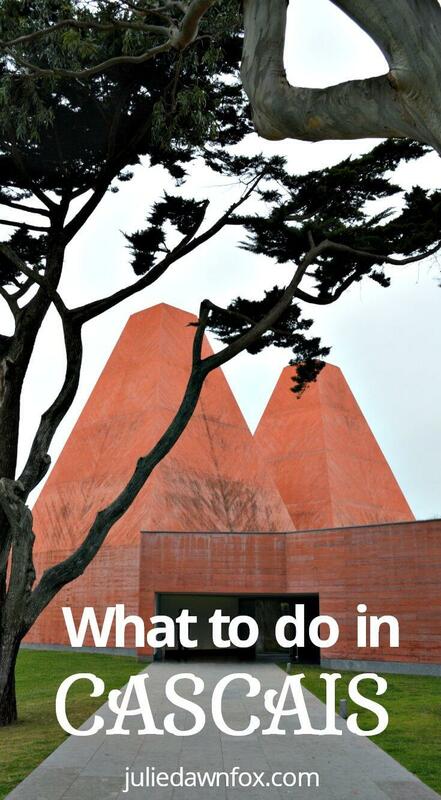 The building itself is remarkable with its two red pyramids, designed by Pritzker prize-winning architect Eduardo Souto de Moura. Inside, the works on display change to reflect 50 years of Rego’s production through a selection of her paintings, drawings and etchings, complemented by works by other artists. Avenida da República 300. Open 10-6 Tues-Sun, €3. 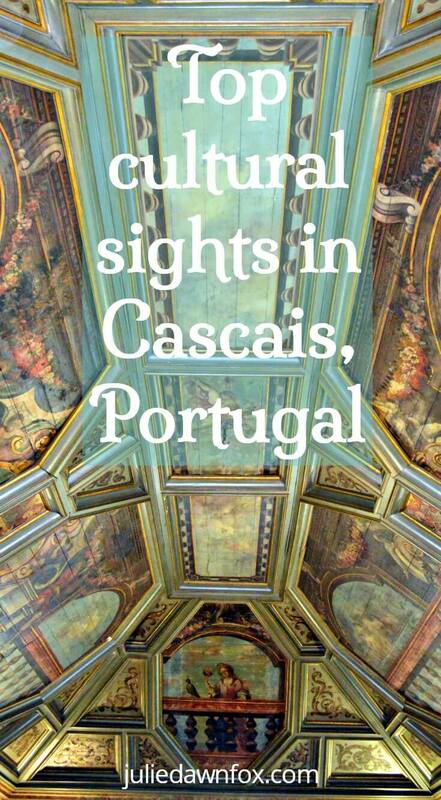 I haven’t yet been to the Centro Cultural de Cascais but it’s on the list for my next visit. With changing exhibitions ranging from contemporary to ancient art, there’s likely to be something of interest to you. Avenida Rei Humberto II de Italia. Open 10-6 Tues-Sun. €3. Cascais’ strategic location at the mouth of the Tagus River earned it a fortress in the 15th century to prevent undesirables from reaching Lisbon. Unfortunately, it wasn’t enough to stop the Spanish from taking over in 1580. When the country was once more under Portuguese control, the structure was reinforced and enlarged to create a Renaissance citadel in the 17th century. Claimed as a royal summer residence in the 19th century, the citadel is now used as a hotel and contemporary art venue. You’ll find a cluster of boutiques and gift shops selling quality Portuguese arts and crafts around Largo da Assunção including the colourful and eclectic Ceramicarte. While you’re in this square, pop into the church of Our Lady of Assumption to see some of Josefa de Óbidos‘s paintings. She was a remarkable 17th Portuguese painter at a time when few female artists were active or recognised. If you happen to be in the Cascais area in July or August, make the 3 km journey to Estoril for FIARTIL, the annual handicrafts fair in front of the Estoril exhibition and conference centre. More than just a place to buy unique souvenirs, there’s live music and plenty of Portuguese food to enjoy. House of Wonders is a treat for both the eye and the taste buds. 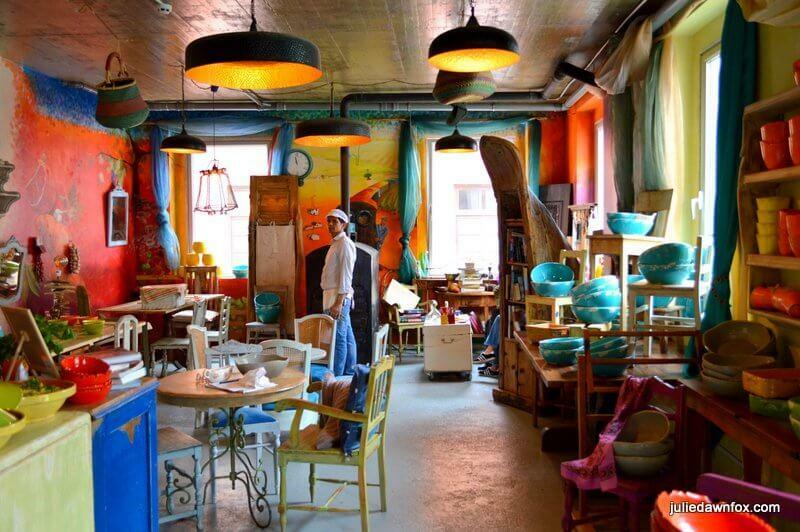 Spread over 3 floors, 4 if you count the rooftop terrace, this is a kaleidoscope of colours and vegetarian, vegan and raw food served amid pieces of art and ceramics, many of which are for sale. Largo da Misericórdia, 53. This gorgeous green park is a lovely place to relax in the shade of giant palm trees or other foliage. Children (and big kids like me) love the duck pond and there are plenty of sculptures scattered around the park. There are even some chickens, which apparently don’t like being caught out in the rain. When I was there in April, a brief shower sent them scuttling for cover under a picnic bench. Next to the Castro Guimarães museum (see above), accessed via the park, you’ll find a rather cute chapel dedicated to St. Sebastian. You’ll pass a string of relatively sheltered beaches on the Lisbon coast as you head towards Cascais. If you want to combine time on the sand with a stroll around Cascais, take the train from Lisbon and get off one stop before the end of the line at Monte Estoril. Walk under the train tracks, turn right and hey presto, you’re on the beach (Praia das Moitas) in less than 5 minutes. It’s not the best beach in Cascais but in summer months, you’re more likely to find space to lay your towel here than the smaller patches of sand closer to the old town. To walk to Cascais from Praia das Moitas, simply follow the esplanade past the seawater swimming pool and around an old palace to the prettier but even busier beaches of Duquesa, Conceição and Rainha. Tip: If you’re only interested in beach time, you don’t even need to go all the way to Cascais – the best beach on the Estoril-Cascais coastline is Carcavelos, a 20-minute train ride from Cais do Sodré plus a 700 metre walk from the station. Praia Tamariz is literally just below the train station at Estoril and still within walking distance of Cascais. For wilder beaches, head along the coastline from Cascais Marina towards Guincho and the Sintra-Cascais Natural Park to find some wonderful beaches within just a few kilometres of Cascais. You may want to take advantage of the cheap bikes (BiCas) for hire at strategic points around Cascais but get there early and bring a lock and ID. Failing that, there are at least two paid bike rental services in the old town. The curious blowhole in the rocky coastline between Cascais and Guincho is about 2 km from the town centre and therefore walkable, depending on the weather. Be warned, this is a popular stop for tour buses so souvenir stalls and cafés make the most of the passing trade. To see the magnificent force of nature as the waves rush through the cave to swirl and pound against the rocks, follow the walkway along the rocks to the viewing platform. 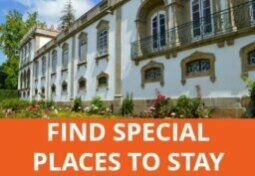 Before I give you my picks for Cascais hotels and guesthouses, a word of advice – book early in peak periods. Cheap accommodation, other than hostels and perhaps AirBnB apartments, is hard, if not impossible, to find at these times. Given its long-standing popularity among the moneyed set, there is no shortage of luxury accommodation in Cascais. The Albatroz has an enviable beachfront location with sea views and all the comforts you’d expect from a 5-star hotel plus very handy free parking. Recent renovations to this historical property mean there are various room styles to choose from. Click to check availability, room options and special packages at the Albatroz. If your decorative tastes are more modern and youthful, you might prefer Farol Hotel, which also has a DJ to help you dance the night away on balmy summer evenings. Some rooms and suites have ocean views. 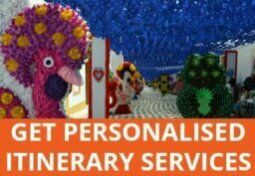 Pick a room and package to suit you. Prefer to be surrounded by greenery? No problem. The modern 5-star Oitavos is ensconced within the Sintra-Cascais Natural Park and overlooks the ocean and golf course while being just 5 km from the centre of Cascais. Click to see photos and check prices at the Oitavos. If history is more your thing, stay in the 17th century fortress at Guincho and enjoy a sunset dinner at the Michelin-starred restaurant and the vaulted stone ceilings in guest rooms and decorative stone arches around public spaces. See photos and check availability at the Hotel Fortaleza do Guincho. Vila Cascais Guesthouse offers luxuriously stylish boutique accommodation in a restored historical mansion overlooking the sea with use of the Albatroz pool. Click to see if you can get a room with a sea view. The delightfully pretty, family-run Pergola Guest House is well located for the historical centre and beaches and the historical mansion is surrounded by a beautiful flower garden. Check availability at Pergola and grab a room if you can as they get booked up quickly. Named after one of Portugals’ greatest explorers, Vila Vasco da Gama is centrally located and great value for money, especially with the free use of their bikes. The villa surrounds an outdoor pool in attractive lawned gardens. Click to check availability and current prices. Given its proximity to Lisbon and unique and varied charms, Cascais is popular with expats as well as holidaymakers. Rents are correspondingly high and you’ll struggle to find medium-term rentals that span the holiday months. Some apartment owners will consider longer rentals in low season but you’ll need to negotiate directly or, if they are listed on AirBnB, you may find a discount offered for stays over 28 nights. 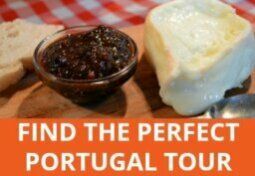 How would a visit to Cascais in the month of February? Like cultural exhibits. Would we be better off in Lisbon? 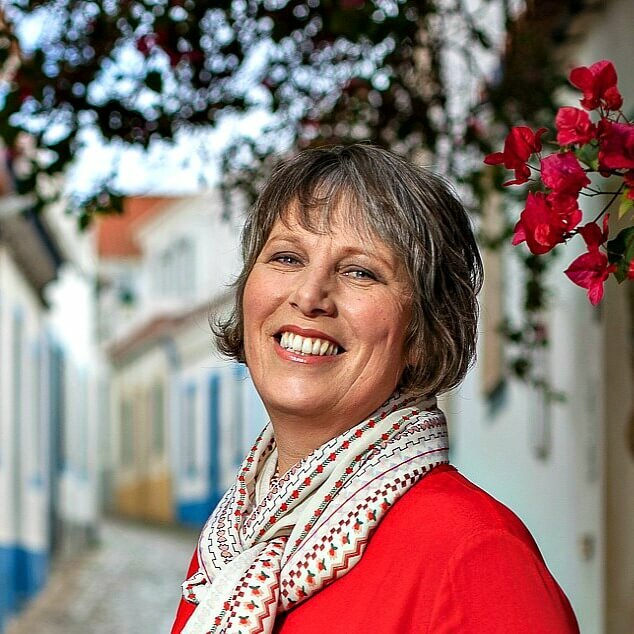 Lisbon is bigger so will have more going on but you could stay in Cascais and take the train if you don’t want to actually stay overnight in Lisbon. I like your website. I’m also a travel agent in US and in July flying to London on 4th, with my 5 yr old daughter for big trip before Kindergarten, for 3 days and then going to Portugal for 3 weeks first visiting for three days in Porto, 1night in Aveiro, 1-2 nights in Coimbra, day trip to Sintra and then stay 2 nights in Cascais (I was here in Jan 2017 for 3 days and Loved it! :-), then 3 days in Lisbon. I was thinking of driving to Faro then Sevilla and Merida to see ruins and back to Porto to return car, I heard I cannot return car to Lisbon instead of Porto. My question do you think it’s okay not to prebook each hotel? Say arrive in Lisbon and find 3 star hotel for 1-2 nights same for smaller towns along the way? Hi Mark, July is peak season and accommodation is already limited in availability. I would not leave it up to chance, especially with a young child in tow. Re the car rental, you can usually have a different drop off location but check the insurance details carefully. If you intend to drive in another country, you may need extra insurance which can be quite costly. Having just been back there, I’d recommend allowing enough time to do some walks in the Sintra-Cascais natural park, too. I think you’d love it, Jo.